Police serve in so many different conditions, it can be difficult to know which gear will be best to invest in. The type of police boots best suited for your needs need to be versatile and lightweight, as well as durable and comfortable during long hours of wear. 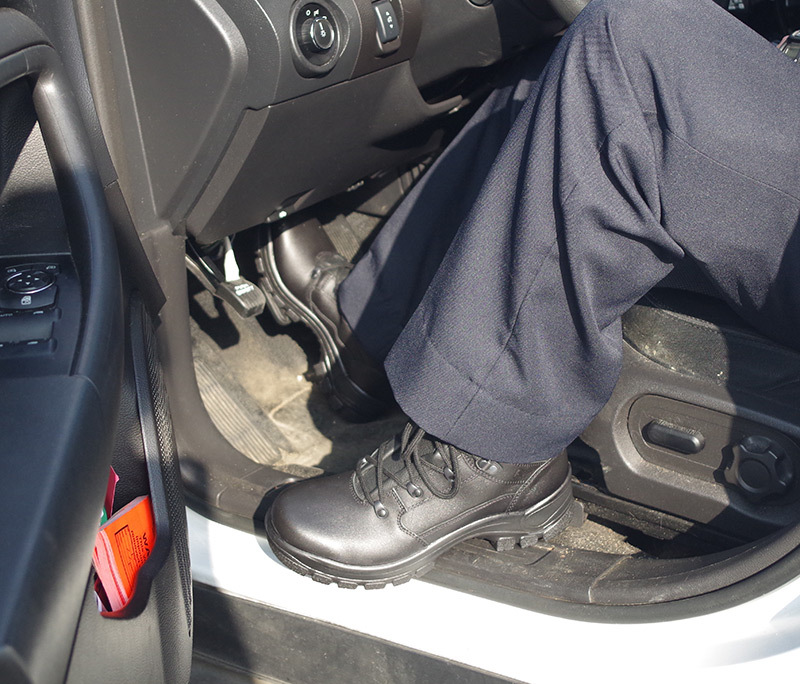 Our lightweight police boots are the best option for most officers because of their versatility. The features officers look for most in their boots include waterproofing, comfort construction, and lightweight design. All HAIX® boots have these features, and stand up to the competition because of it. HAIX® offers a wide variety of lightweight police boots that can be used in different policing conditions, with a special set of boots made for those serving on elite teams, such as SWAT. Of course, HAIX® also offers some of the best options for female police boots. The reason why most officers need lightweight police boots is that their shifts last long hours. Being on your feet so long, and still maintaining your peak performance requires a lightweight boot that will help prevent fatigue. Combining lightweight construction with other features like waterproofing, smart lacing systems, and safety features --like protective toes-- is not easy, but HAIX® covers all the bases! HAIX® offers the best array of lightweight police boots for different situations, including variations in climate, and different uses in the field including tactical operations. Most officers know that they will be encountering a number of different conditions, terrains, and safety hazards. Their feet need to be protected, while also remaining comfortable. Officers also need to be quick on their feet. All HAIX® boot designs take these important factors into account, which is why our boots are number one! When investing in new police gear, always think first of HAIX® for durability, and performance. Order now online!